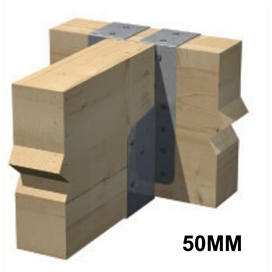 Speedy Joist Hangers provide a quick and safe method of joist trimming for light and medium duty joints. 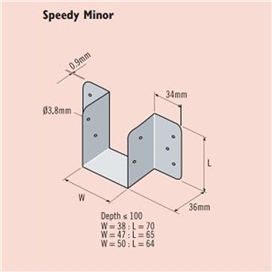 Design Features • Speedy Hangers: 0.9mm thick pre-galvanized mild steel to BS EN 10346 : 2009, DX51D + Z275. 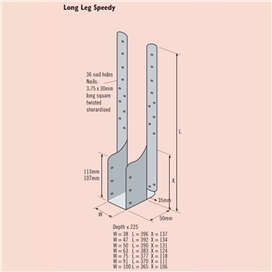 Hole diameter: 3.8mm. LLS: 1.5mm thick material. SGTS: 1.2mm thick material.